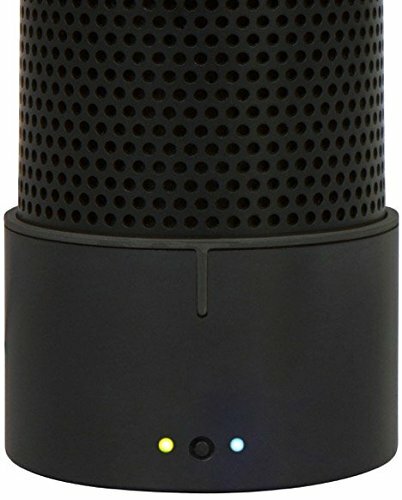 First off we have the ultimate tool of convenience, the Official Amazon Echo Voice Remote. This tiny minimalist remote connects to your Amazon via Bluetooth and has buttons dedicated to volume up, volume down, play/pause, previous, and next. This wouldn’t be a true Echo remote if it didn’t boast voice abilities. 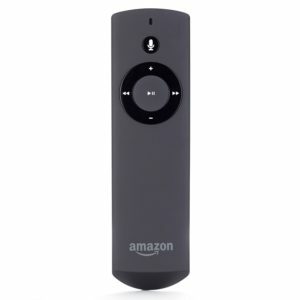 The remote includes an integrated microphone for when you are too far away or it’s simply too loud for Echo to hear you. You’ll never find yourself shushing your guests to change the song again. The Echo BatteryBoot comes from another manufacturer, yet couldn’t fit the Amazon Echo any more snugly. The site offers three options in the USA: The PowerBoot, the MegaBoot, and the EcoBoot TM. All three appear the same and offer blissful hours of freedom from the cord. The PowerBoot offers up to 14 hours of use, taking 2 to 3 to charge completely as all the BatteryBoots do. Once completely charged using the included adapter, the battery remains in a standby state so that it doesn’t unnecessarily drain while plugged in. Though the PowerBoot certainly set the bar high, the MegaBoot one-ups its sister product with up to 18 hours of use. This is ideal for the person who loves to tote their Echo around. Take your Echo to your backyard, your pool, or a day trip to wherever you like. Alexa will remain powered up and ready to assist. The EcoBoot TM comes in third at up to 7 hours of use. Unlike the others, this cheaper option comes only with the EcoBoot Battery, but is able to be charged using your Amazon Echo adapter making it the most convenient and efficient. The Mission Power Battery Base is very similar to the BatteryBoots, but has slightly less playback time at a cheaper cost. With still up to 6 hours of use, don’t count the Mission Power Battery Base out of the race just yet. The barely there product easily attaches to the base of the Echo and recharges using the Amazon Echo power adapter, minimizing the amount of cord clutter you have in your home. The Battery Base requires 1 lithium ion battery, which is included. An intelligent battery management system allows the user to leave the power adapter continuously plugged into the Battery Base without damaging the battery making it not only powerful, convenient, and aesthetically pleasing, but also efficient as an added bonus. Alexa has never looked so beautiful. 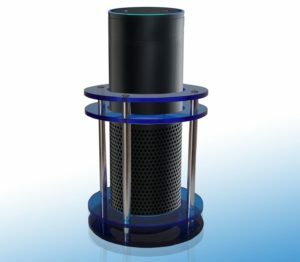 The Amazon Echo Finite Protective Case is a customized dress for your Echo. 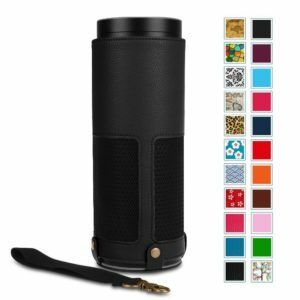 Not only do the cases come in fun and attractive colors and patterns in the USA, but it also provides premium protection for the aluminum body of your Echo against scratches, grease, dirt, and abrasions using synthetic leather with a soft non-scratch microfiber interior. If you’re worried about this interfering the Echo’s high-quality sound, breathe a sigh of relief. The Finite Protective Case is designed to maintain functionality while enhancing aesthetic. The case also has a removable carrying strap with an aluminum button closer to add stability. Your Amazon Echo is now a perfect grab-and-go. The Little Artisan Guard is another product possessing both protective attributes and beautiful aesthetic qualities. Have animals, kids, or just bad luck? This is for you. 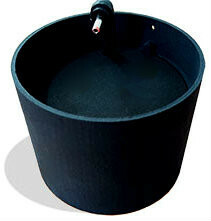 The guard is a sturdy stander base that prevents your Echo from being knocked over. Your investment just got a little more secure. The laminate design stander is tinted the same clear blue color as the Echo light ring, tying the whole thing together. Like all the other products, the Artisan Guard is in no way detrimental to the functionality of the Echo speaker. Sound is as clear and strong as ever and will continue to be so for longer with this added protection. Happily convinced and then heartbreakingly disappointed to find that these products are not available in your region? Allow us to help you with this problem. Big Apple Buddy is a concierge service dedicated to breaking down international e-commerce barriers by efficiently distributing exclusive USA items worldwide for your convenience. Don’t wait any longer than you have to to own a fully decked out Amazon Echo. 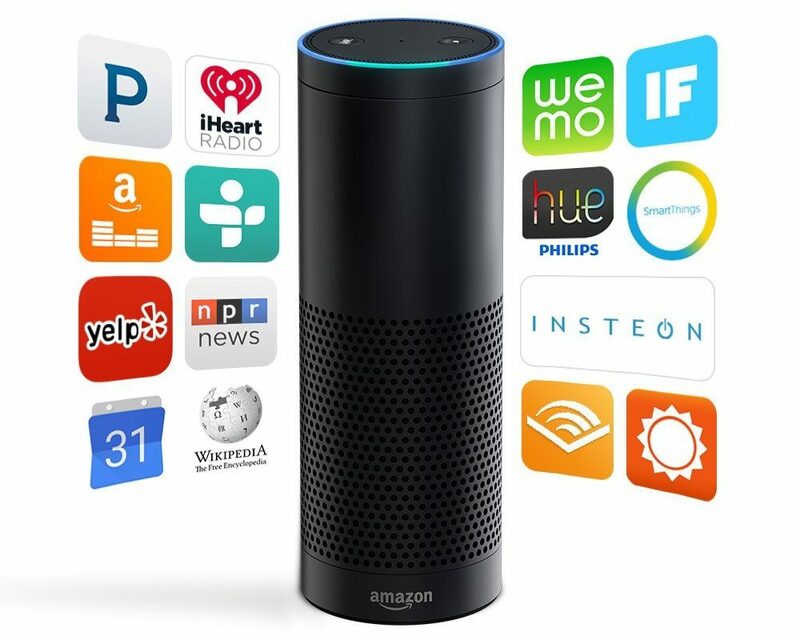 Learn more about our service or get a free shipping quote for an Amazon Echo or an Amazon Echo accessory today!